Auditor general reports into military helicopter overruns, the former integrity commissioner's half-million dollar severance and mismanaged renovations on Parliament Hill won't be investigated by a House committee after MPs voted not to study them. CBC News has learned that studies of several auditor general reports will be shelved and even the decision to avoid the hearings was made behind closed doors, CBC's Karina Roman reports. 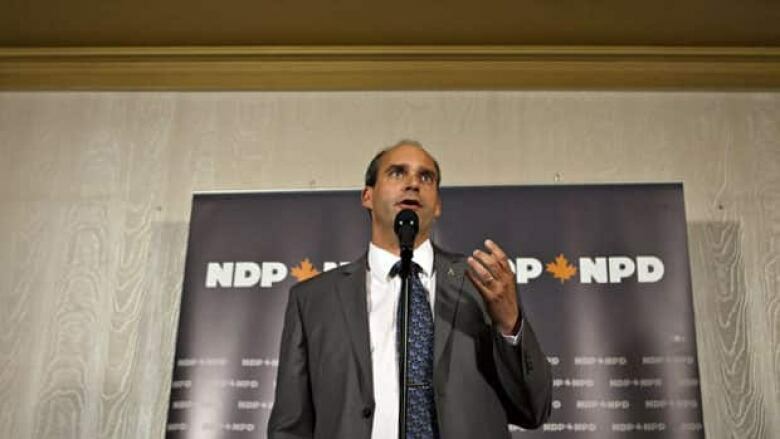 NDP MP Guy Caron, who is on the public accounts committee, made a routine motion to continue studying the auditor general's reports left over from last spring. The Conservative majority on the committee voted to go in-camera, meaning any debate and vote would be done in secret. Caron says his motion was not adopted. The studies are shelved for now, but he can't say more than that. "I really don't think it looks good, because it looks like they want to hide something," he told CBC News. One study would have called witnesses to look at the behaviour of former integrity commissioner Christiane Ouimet, who former auditor general Sheila Fraser found conducted herself inappropriately and retaliated against employees she thought had filed complaints against her. MPs would have likely also questioned why the government paid her $534,100 in severance. Ouimet appeared before the committee last spring and MPs wanted to recall her, as well as an official from the auditor general's office, to continue the study. Fraser found in a separate report that the Department of National Defence did not follow some of its own rules when it bought new helicopters, which still haven't been delivered. Total costs weren't disclosed to the Treasury Board at key points, and decisions were made without the required oversight and challenge by management boards within National Defence. Defence also underestimated the complexity of the helicopters it wanted to buy, which led to delays and cost overruns. Another report found renovations to Parliament Hill's West Block were moving too slowly. Government House Leader Peter Van Loan defended the move. "Committees are masters of their own destiny and they have always set their agendas in camera, so there's nothing different here," he said. But Caron says three out of the past four meetings have been behind closed doors. "To act in this fashion, and to go in-camera to discuss these important motions ... To us, it's really going against what should be transparency and accountability, and if we have a Federal Accountability Act that doesn't prevent this, then it's not worth the paper it's printed on," he said. David Hutton is with FAIR, a group that represents whistleblowers. The group represents some of the people who sought protection from Ouimet. Hutton said the government has given Ouimet a get out of jail free card and has done so in an underhanded way. "You would hope at some point the government realizes it's paying a high political cost for this. But so far they seem utterly brazen," Hutton said. Caron worries what committees will look like now that they're dominated by the Conservatives, particularly the public accounts committee, which is the venue for oversight of government spending. Caron argues it doesn't bode well for all the auditor general reports still to come over the next four years. This story has been edited to clarify that the committee's decision was related to studies of reports by the auditor general and it was this decision that was made in secret. The reports themselves are public.